Here’s a list of some of the most awesome products not seen commonly. 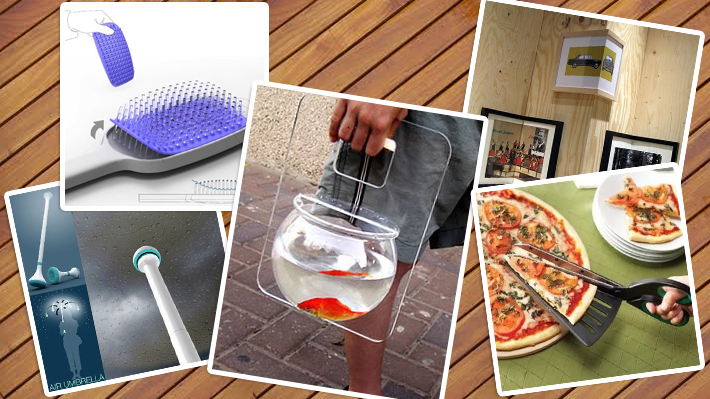 Some of these products may actually surprise you at the simple yet genius inventions. Every season umbrellas get more fashionable than fancy. Well, here’s an umbrella that’s neither fashionable nor fancy, it’s innovative! The air umbrella uses air pressure to build a sort of invisible umbrella over you. Pressure of the air is so strong that it keeps water from entering the circumference of air or the invisible umbrella around you. This knives-set is a real space saver. Very elegant and well organized too. These can be ideal for camping, hitchhiking or adventure trips. Did just anyone say "I can’t find the extension cord"? Lets take our goldfish for a walk, shall we? This will make my life not just hygienic but also simple but saving me the time I take to pull hair out of the brush.